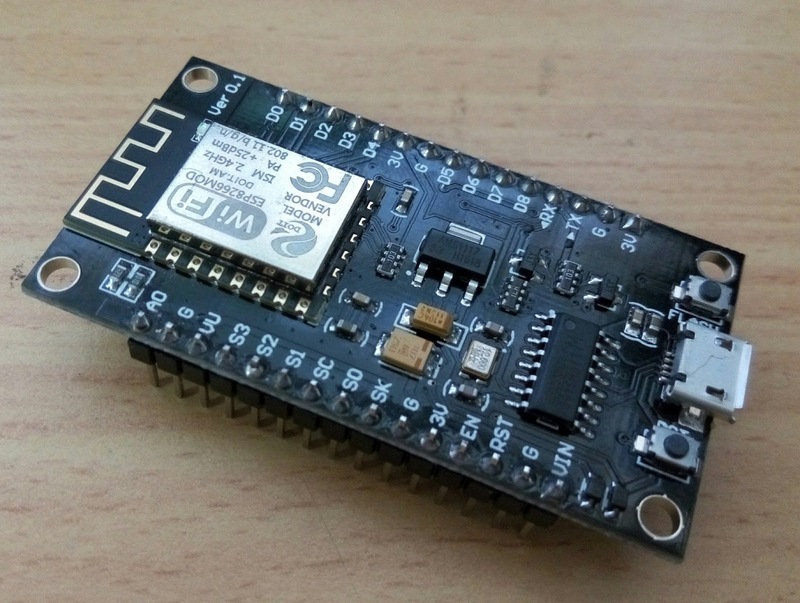 There are several other tools that you can use to flash the firmware, for example NodeMCU PyFlasher with GUI which is also based on esptool.py. 3. Erase existing flash using esptool.py. In this example, my bord is connected on port /dev/ttyUSB0 with baud rate 9600. 4. Then, you can run esptool.py again to flash the firmware into your ESP board. The flash_mode is dio because the board flash memory size is greater than or equal to 4MB. If you use board with smaller memory size such as 512kB or 1MB like in ESP-01, the mode should be qio. 5. After the fourth step, your ESP board still cannot be programmed because the board needs SDK init data. All data in flash memory had been erased through the third step. The SDK init data is required to make firmware boot correctly and saved in the fourth sector from the end of flash memory. If you try to upload certain Lua program file using nodemcu-tool it will always show error message as following. [NodeMCU-Tool] Unable to establish connection - Timeout, no response detected - is NodeMCU online and the Lua interpreter ready? So, the next step is to download SDK init data from this repository. You can clone it and find the binary file in bin directory. 6. Upload the SDK init data to the correct address based on your board flash memory size. As I use NodeMCU DevKit 1.0 with 4MB of flash memory, the location is at 0x3fc000. If you use ESP-01 with 1MB of flash memory, it's at 0xfc000. You can see full information about SDK init data here. The process is same as flashing the firmware. 7. Now, you can try to run certain command using any NodeMCU tool like nodemcu-tool. From my experience, after flashing the firmware, I need to redo certain command few times before it can work properly. For example I run this following command four times before it can connect with the device. [NodeMCU] File System created | format done. 8. Done. Now, you can upload program to your board. I prefer to use ESPlorer with GUI rather than nodemcu-tool.